Protect your home and landscaping with leading-edge gutters and downspouts and more, we’ll help you weather the rainy seasons. 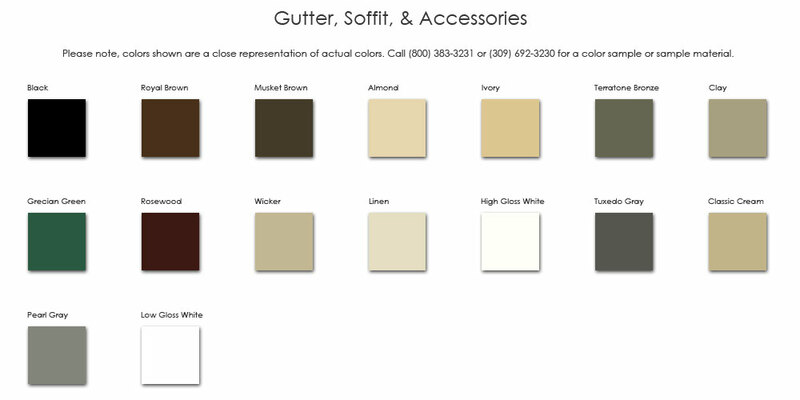 We offer a wide selection of colors for our seamless gutter systems. Gutter accessories are also available in matching colors. Actual metal samples are available upon request. Shown is just a sample of some of the colors available from which you can choose. This is just a sample of the many colors available from which you can choose.